Worldwide Worship Academy - Passion. Presence. Lifestyle. I used to want to be the next Matt Redman. I used to want to be the next Delirious. I’d write songs, desperately trying to emulate their styles, using their words and their rhythms. And I would get frustrated when my songs were not as good. I’d get annoyed when my songs were not received as well. One day however, I was talking to a friend about Valentine’s day of all things. He told me that he and his wife don’t buy each other valentine’s day cards. Instead they write each other notes which they slip into each other’s lunch boxes before work. They regularly write each other little messages expressing their love on a blackboard in their kitchen. It makes shop bought sentiment a little less meaningful. They still buy birthday cards for each other. They even buy anniversary cards. We need to stop relying on “shop bought worship” as the only means of expressing our adoration to God. I am not saying it is wrong to use songs written by other people in our worship. It is not wrong to sing 10,000 Reasons. It’s not wrong to sing How Great is Our God. It’s not wrong to sing When I Survey. What I am suggesting is that maybe God wants to hear your voice. He wants to hear your community’s expression of love for Him. When I realised this it changed everything. I stopped writing songs where I tried to be like someone else. I stopped writing other people’s words. I started writing songs that would reflect where my church was on our journey. And finally my songs started to matter. Finally they started being sung. I haven’t achieved worldwide success. I haven’t become a household name in churches all around the world. In the same way that my wife much prefers it when I tell her that I love her in my own words (even though she appreciates the odd Hallmark card), God loves to hear His children expressing their love to Him in their own words. If you want to write great worship songs. Songs that will touch the heart of God. Stop writing songs in the hope of saying what others have already said. 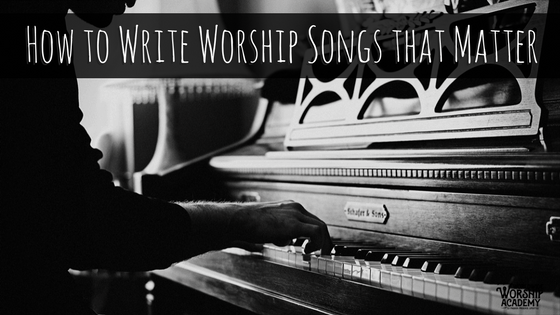 Instead, write songs that allow your community, your church, to express their heart to Him. Then you will be writing songs that really, truly, matter. If you are interested in writing even better worship songs, that truly reflect the heart of your church community and actually get used by your congregation, then please check out our free songwriting mini-course by clicking here. It was coming up to Christmas, just under five years ago, when my eldest daughter, Emily, was about to turn eight. Before I go on, I must explain that my eldest daughter takes after her mother in many ways. She is beautiful and clever, and has exactly the same hair as her mum. She takes one thing from me: she’s a little bit of a geek. I had to find a way to let her down gently. She was, understandably, saddened to hear this, but, as she always has in situations like this, she put on a brave face and asked for some books instead. This is the point where I saw God step in. Out of the blue, my brother-in-law got in touch and told us that he had an old netbook lying around that he didn’t use any more. Christmas day came, quicker than expected and Emily was sat on the sofa, waiting expectantly for her gifts. We gave her a couple of books and some of the smaller things first and then it was time for her “big” present. She carefully took hold of the wrapping paper and started unwrapping the box. I watched her 7-year old face as realisation dawned. You see, God is a good father. He provides in a way that we, as earthly parents, can’t. 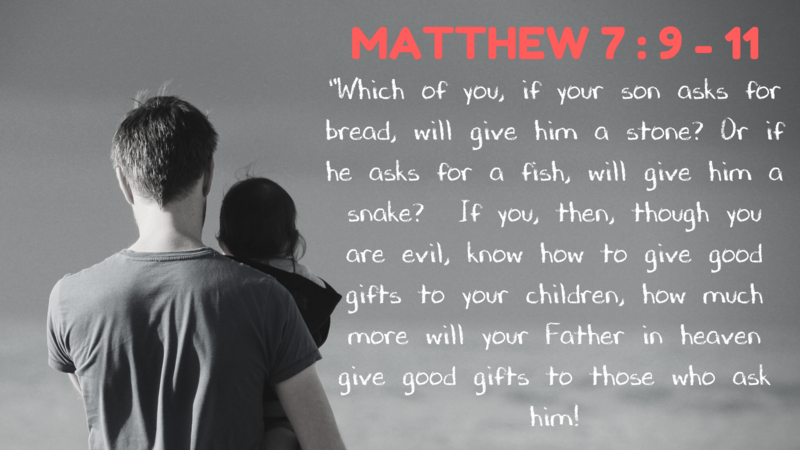 And He loves to give His children good gifts. 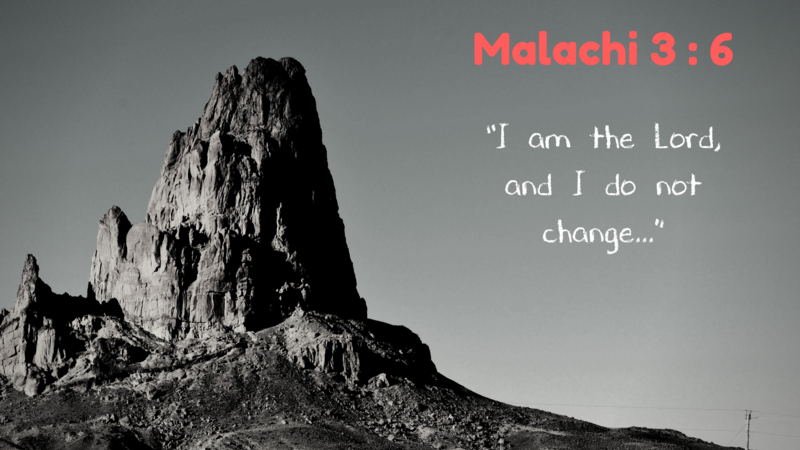 And the great thing about God’s nature is that it doesn’t change. He is, always has been and always will be this way. If you were to ask my children whether or not I am a good father, I’m fairly certain their answer will change depending on the day. But God is not like me. From Age to Age He remains the same. 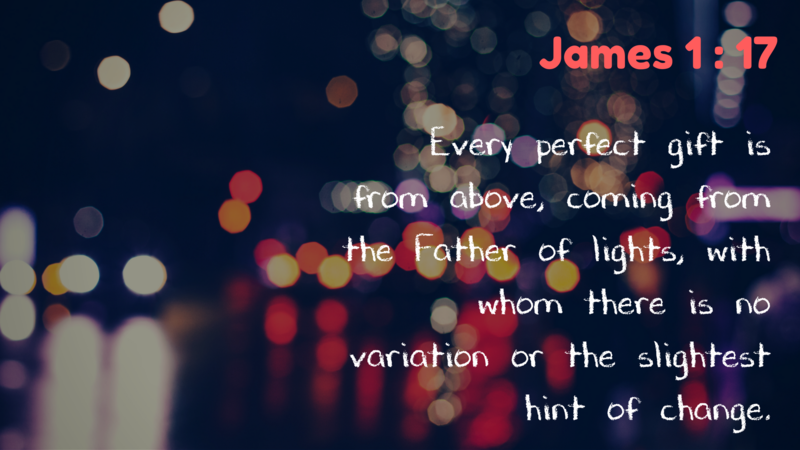 God, the Father of Lights, gives perfect gifts and His nature never changes. And yet, somehow, we allow out image of God to get distorted by things we have heard or through bad experiences with our own earthly parents. It’s so easy to start believing that we are insignificant. Or that He is an angry, vengeful God. That He just doesn’t care. But these ideas of God are simply not true. However far we run, He will always welcome us home. However far we stray, He will always watch over us. And He has ALWAYS been this way. Ever since the beginning of time itself, He has always been this way. Even in the story of the fall, the narrative of our human rebellion, when we appear to see anger, wrath and punishment, what we are actually seeing is the breaking heart of the Father, watching His children walk away. You see, humanity chose to leave that place of community with the Father. We chose a life of independence. We chose to go our own way. I don’t believe that God made labour painful, He simply stopped taking the pain away. He didn’t make it harder for plants to grow in the ground, He simply stopped working the soil for us. We chose not to co-govern this world with Him, but rather we wanted to govern the world without Him. It’s the path we chose. And we read in Genesis that He made clothing from animal skins for them. And Theologians will argue that this is a prophetic symbol of Jesus. Of innocent blood being shed to cover our shame. So, as you go about your day today, I pray that you would know that you are safe in His embrace. Know that you will never be abandoned or rejected. And know that you are loved, more than you could possible imagine. For God is a good, good Father. I was listening to a podcast last week where two of my friends were busy discussing the movie “Finding Dory”. The hilarious, and often ridiculous, conversation made me laugh out loud several times as they drifted from the movie they were reviewing to different leg measurements in sport, inner chimps and separation anxiety. As they spoke they ended up discussing other animated movies and spoke of the film “Tangled”. For those of you who don’t know, “Tangled” is the story of Rapunzel. Rapunzel, is a princess, stolen from the palace when she was just a baby and locked away in a tower in the woods by an evil woman who keeps her there to take advantage of the princess’ magical hair. Every year, on Rapunzel’s birthday, she looks out the window and sees 1000 red lanterns rising into the sky. This makes her feel special. She believes those red lanterns are especially for her. Realising that the evil woman, whom she refers to as “mother”, doesn’t truly love her, she eventually manages to escape the tower. In order to triumph as she fights her way through the woods to the palace where the red lanterns are released, she cuts off her hair, her most precious possession – the thing that makes her special. The thing that makes her different. Only then is Rapunzel finally reunited with her parents. Her parents who never stopped looking for her. Who never stopped searching for her. And, most importantly, who never stopped loving her. You see, they had been releasing those red lanterns as a sign that they still loved her and were still trying to find her to welcome her home. They loved her, not for her magic hair, but simply because she was their daughter. It got me thinking about God and His relationship with us. From the very moment humanity chose to follow a path away from Him, He too has been releasing red lanterns. In the prophecies, in the Law and in the Religious Feasts described in the Old Testament, He was releasing red lanterns. 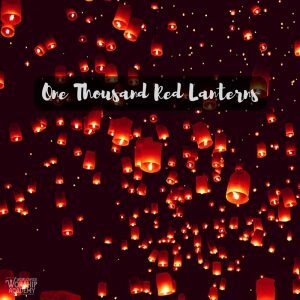 In the miracles and words of Jesus, He was releasing red lanterns. With Jesus’ death and resurrection He made a way for us to return to Him. Yet still today He continues to release red lanterns. You see, God doesn’t love you because of your special qualities. He doesn’t love you for you abilities or your accomplishments. All those things that are so important to everyone else are of little consequence to Him. 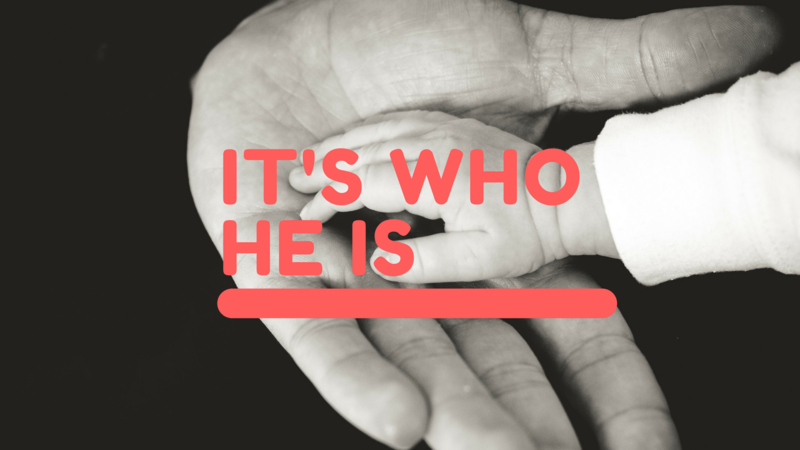 He loves you because you are His child. And as you walk through life He will continue to send up those red lanterns, in the form of miraculous encounters, kind words from strangers, unexpected gifts, the generosity of friends. I challenge you now to look back through your life. Look for those red lantern moments, those unexpected moments where light shone in the darkness, where something good brought you hope that everything was going to be alright. I was sat drinking coffee at the dining room table yesterday as my three youngest were busy doing what they do in the mornings. On the table in front of me was a wedding invitation. My friend, Sarah*, had invited me to her wedding. She will be marrying her girlfriend, Teri* in a few short weeks. Being only 11, she was simply expressing her unfiltered thoughts, in the way that only a child can. I encourage my children to form their own opinions about different situations/beliefs so long as they can explain why they have reached their conclusions. “Why is it weird?” I asked her gently, as Naomi, her 9 year old sister came to join the conversation. Again, Miriam simply shrugged her shoulders. “I wouldn’t like it.” She admitted. Miriam shrugged again. She didn’t know. She had hit the nail on the head. But that really is the simple truth. Jesus wants nothing but the best for every one of us because He loves us. Regardless of gender, sexual orientation, belief, age, colour or ethnic origin. 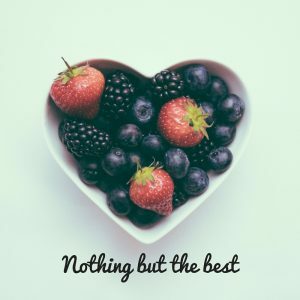 Whether you are gay or straight, rich or poor, old or young, all He wants is the best for you. If you have enjoyed this blog post, please share it on Facebook or Twitter. *names have been changed in the interest of privacy. In discussions with worship leaders all around the world, I hear people asking how they can sound like the latest Bethel/Elevation/Hillsong/(Insert Big Name Church) worship album. There is talk of downloading backing tracks and loops. Arguments over why the song can’t be done because the worship leader can’t sing in the right key. Questions over what should be done with the keys player who hasn’t learned his specific part from the album. Again. I find myself wondering if maybe we are creating a homogenous paint-by-numbers worship scene, where every note is perfectly placed, every melody mirrored from the original. It’s like we have a colouring book and we colour within the lines, copying the original colours perfectly before returning the book to its owner. God has made us to be creative. He has given us the ability to make up our own melodies. To sing our own songs. To put a different twist on songs we hear on the radio. He has given us freedom of expression and imbued us with His infinite creativity. We tell ourselves that there are rules, that there are lines we should respect. But Jesus, who we are called to imitate, to be like, did not colour inside the lines. Sure, he stayed on the page and didn’t stray off the paper, accidentally drawing on the table like my children have done so often, but He did not stay inside the lines. See, in Jesus’ day there were strict rules about worship. There was no “work” on a Sabbath. Women were not considered equal. Prayers were said for the purpose of being seen as pious. The best wine was not to be served last. Fishermen were not ideal followers and a self respecting rabbi would never eat with a taxman. He coloured outside the lines. And He calls you to unleash your creativity. YOUR church’s expression of love. How would you feel if your husband/wife/boyfriend/girlfriend only ever used quotes from films to express how they felt? Or only expressed his/her love by repeating Hallmark card greetings? It’s time to let your music express who you are. It’s time to write and sing songs that reflect where you are on your journey, both as an individual and as a church. 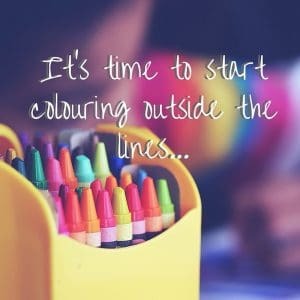 It’s time to stop worrying about reproducing other people’s worship and start letting your crayons stray outside the lines. It’s time to embrace the messy mass of colourful lines that may not look as polished as some other churches, but that truly express who YOU are and who YOUR church is. After all, God’s already got a Hillsong. He’s already got a Bethel. He’s already got an Elevation Worship. 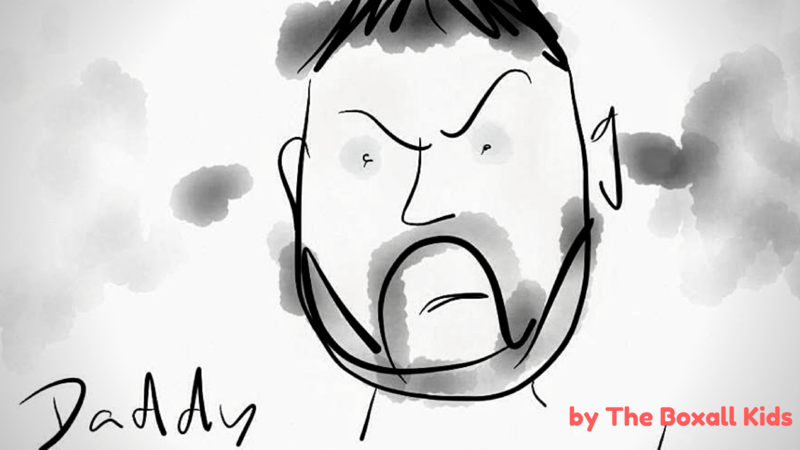 P.S: If you enjoyed this blog post, then please share it on twitter or Facebook. P.P.S: If you would like to subscribe to this blog and also receive an amazing ebook totally free covering the Ten Essential things you Need to be a successful worship leader, please click here so that I can email you your copy straight away! Two days ago I saw a blog post espousing the importance of lyrics over melody when in worship songs. I’m certain I don’t agree. Don’t get me wrong, of course lyrics are massively important when it comes to writing a worship song, but are they more important? 1. Music opens the heart to receive the truth written in the lyrics. If the music does not move you then the lyrics will not affect you. It doesn’t matter how great the lyrics are, if the music does not carry it into your heart, it is like trying to plant a seed without first making a hole in which to put it. The truth in your lyrics will not take root and nothing will grow. 2. Congregational songs with poor melodies do not get sung. If your song is too hard to sing, or the melody is boring, complicated or lacks an enjoyable tune, no one will sing it. No one will listen to it. Your lyrics then have no vehicle and will not be seen or heard by anyone. 3. Lyrics and melody must support each other. I can’t stress the importance of ensuring that your lyrics and your melody work together. A sorrowful melody with lyrics of joy is a juxtaposition that simply doesn’t work. The message of the lyrics must not jar with the tune of the melody. And vice versa. 4. Lyrics need to fit the tune. When people bring songs for me to assess and work on, one of the first things I look for is that the melodic emphasis is on the right part of the lyric. A song with strong emphasis on words like “The”, “A”, “And” and “Or” needs some work. This means that we have to decide which is better, the melody or the lyrics. One has to change for the other to fit. 5. Melody and Lyrics should give way to each other. What I mean by this is that, when it comes to writing worship songs, we are serving the congregation. Complex lyrical imagery, married to a complex tune will overload the worshipers capacity to engage with the song. However, marrying simple lyrics to a complex tune, or complex lyrics to a simple tune, will often result in an imaginative, creative and, perhaps most importantly, engaging song. 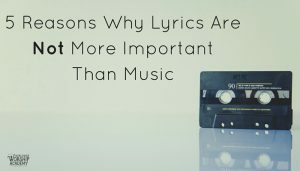 So, are Lyrics more important than the Melody? No. But equally, they are not less important. A great worship song always has a great, singable tune and interesting, engaging, truth-filled lyrics. They go together, as Whoopi Goldberg sang in Sister Act, “like birds of a feather”. I’d love to know your thoughts on this debate. Leave us a comment below this post, and, if you have found this to be useful, please do share it with others who might enjoy it too. P.S. If you are a worship songwriter, and you would like a tried and tested method to take your song from original idea right through to being used in church, do check out this proven roadmap. I spent some time last week talking to my friend Lee Button. Lee doesn’t work for the church. He used to, but he resigned. He has the ability to cast vision and project a preferred future in any given situation, along with helping people and organisations discover their true purpose and put strategies in place to make this a reality. Lee is a strategic thinker. During our discussion, he was quick to point out that there is a difference between strategic planning and strategic thinking. 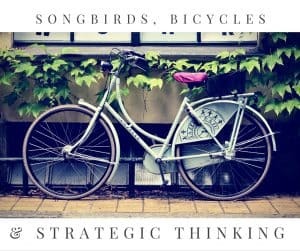 Strategic thinking is as much about internal/cultural changes as it is about external results. Strategic thinking, as far as I understand, is about identifying the WHY before implementing the HOW. The HOW is where Strategic Planning comes in. Lee stopped working for the church in order to set up his own company, consulting for churches, charities and other organisations to help them reach a better future. His company, Venture 52, works with organisations, helping them apply strategic thinking to their vision, enabling them to create not only a clearer future but also an ideal path to making that vision a reality. This is how Lee uses the gifts he has been given to serve a wider audience. He tells me that he believes that because of his relationship with God, who is outside of time, he is able to bring the infinite into the moment, changing people’s thinking, clarifying vision and motivating change. Ironically perhaps (and this is no reflection on the Church, but rather on Lee’s personal gifts), he left the church in order to start changing the world. You too have unique gifts. They may be put to best use in the church. Equally, though, they may be put to better use outside the church. You may not be called to lead a congregation but a company. You may not be called to church music but to a secular arena. God has made you unique, with gifts and talents that are singularly yours. Do not strive to confine them to a “ministry” role. In your work. In your relationships. In your church. Wherever you are, there too is your ministry. Please take a listen to this podcast episode with Lee Button and visit his site to find out more about what he does. You can also connect with him on Facebook. Across the road from the Songbird Café is a little bicycle shop. RideRide, owned and managed by Christians, is another beacon of light quietly shining in the centre of a busy urban corner of Southampton. My friend Mike works alongside the owner Tim, as a bike mechanic and line manager. Now, as far as bicycle shops go, they do all the things that a normal bike shop does. They fix and maintain bicycles. But, what’s amazing are the things you don’t see. They have a real heart for helping people change their lives around. The business is run ethically. Jesus is talked about on a daily basis. My favourite RideRide story is one that Mike tells about a time when a lady came in to the shop. Mike felt God tell him that she had a very specific pain and so he took a leap of faith and decided to ask her about it. If I remember rightly, the pain was in her shoulder. The lady confirmed that she did have pain in her shoulder and that it had been bothering her for a while. Mike, having been taking part in a course that encourages Christians to step out and do things that push them out of their comfort zone, beyond the current boundaries of their faith, took a leap and asked to pray for her. She told him that she was a healer and that she makes potions to heal people and yet she could not get her own pain to leave. She was willing to try anything. He tells me he had little expectation but the lady looked astonished. Mike took a leap of faith and as a result was able to share Jesus with the most unlikely of people. I don’t know whether she decided to follow Jesus. I don’t know whether she has given her life to Christ or whether she has simply continued on the path that she was walking on. What I do know is that on that day, because of Mike’s courage to step out, she experienced the love of the Father. And that will changes people forever. This would not have happened in Mike had limited his faith to a Christian environment. This would not have happened if Mike didn’t see his place of work as a place of ministry. You see, our worship is about more than simply singing of songs on a Sunday morning. And ministry is not restricted only to those working for church or charities. Whether you are a parent, police, plumber or painter. Whether you are a firefighter, a paramedic, a lawyer or a street sweeper. Whether you are a pastor, an author, a personal trainer or a music teacher. Wherever you are, wherever you go, there too is your ministry. This week, I would like to challenge you to take a step of faith. Do something you wouldn’t normally do. Give someone an extra opportunity to experience the love of the Father. Leave a comment below and let us know how it goes! P.S. If you want to find out more about RideRide, please check out their website or their Facebook Page. 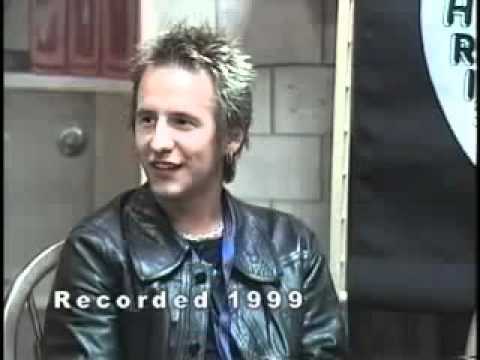 It started 19 years ago, with a simple dream and a word from God. Andrea and her husband, Kevin, had not been married long when they went on a business course together. 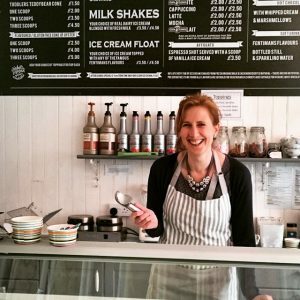 The aim had been to help make Andrea’s dream a reality – to see a coffee shop full of creativity and art. This is exactly what she had been waiting for, so Andrea quit her job. Together, Kevin and Andrea set up a stall in the local shopping centre, selling arts and crafts materials but the time wasn’t right. Despite the word she had received, Andrea’s God-given dream didn’t appear to be any closer to becoming reality. As is so often the case, life happened. Children came along and, as Kevin and Andrea’s family grew, her dream was put on a shelf and almost forgotten. Almost 18 years passed since then. Their children grew up and still the dream lay dormant on a shelf in the recesses of Andrea’s mind. In other words, where do you go where you can meet people and tell them about Jesus? As a stay-at-home mum with teenage children, Andrea was challenged by this. In her heart she knew that she needed to find her well. She needed to find a way to meet people outside her circle of Christian friends. Frustration set in as Andrea felt more and more trapped at home. During the next few days Andrea became aware that a local ice-cream parlour was suddenly available for sale. Dora’s Cups and Cones had been in business for a couple of years but was suddenly ready for new management. It really was time now. Kevin and Andrea took their savings and took a risk, and eight short weeks later, Dora’s Cups and Cones had two new, and very inexperienced, owners. 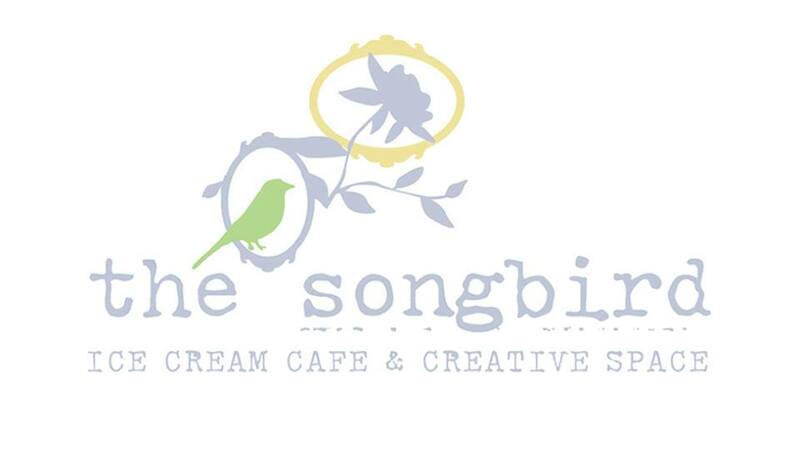 With a name change, new décor and a new line up of cakes, The Songbird Café was born. Finally, creativity and coffee could come together and Andrea’s dream was coming true. Over the next few weeks The Songbird Café started hosting arts and crafts evenings and adult colouring sessions, all accompanied by great coffee and delicious cakes. 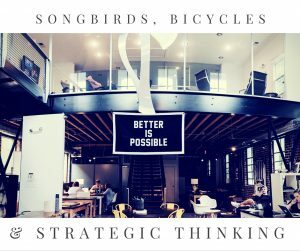 Local artists and creatives find themselves gravitating towards The Songbird and use it as a regular meeting place. Christian groups meet there, reaching out and bringing in those on the fringes of church. One local mum had a dream of getting other parents together with their children to explore creativity in a fun and communal way. The Songbird has been able to provide a venue for this. Andrea’s dream is now helping other people’s dreams come true. There may not have been stories of spectacular conversions or miraculous healings but Andrea has seen God moving in her little coffee shop. 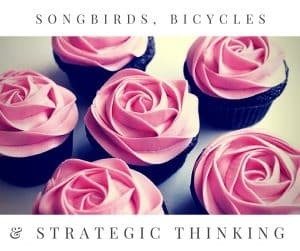 She tells stories of a girl who comes in every week for prayer, because she has learnt she doesn’t have to wait until Sunday when she can go to The Songbird café. She tells stories of people bringing friends in for coffee and spending the whole time telling them about the love of God. It has been a place of reconciliation and encounter. A place where Jehovah Witnesses, Sikhs and Buddhists have come for coffee and colouring. You see, Andrea doesn’t lead worship from the front of church. She leads worship from behind her coffee shop counter, deep in the heart of the community, pointing the most unlikely of people to Christ through the way she runs her business and welcomes everyone in as family. 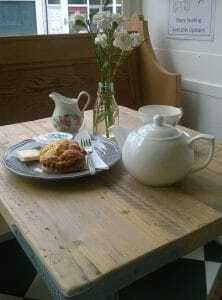 If you would like to find out more about The Songbird Café, then please got to their Facebook page by clicking here or follow them on twitter (www.twitter.com/thesongbirdsouthampton). Having decided that I need to simplify the way I live, over the last couple of weeks, I have been working at uncluttering my house. Like many things that build up in our lives, my house is full of things that I don’t need. Pointless, useless stuff, that for some reason I couldn’t bring myself to throw away. Until I noticed I was getting stressed and wasn’t able to relax in my own home. And because I couldn’t relax, I found myself spending less time reading the Bible. Less time reading with my children. I was either clearing space, or tidying things away, or just constantly distracted by the mess around me. Then I discovered Joshua Becker and his website www.becomingminimalist.com which introduced me to a new point of view on minimalism. So I have decided that I need to make space in my life again. I need to simplify so that I can spend more time with Him. Jesus gave His life for me and all He wants in return is me. And not the things that stop me from spending time with Him. What do you need to give up or remove from your life in order to spend more time with Him? As a creative Being, God made us in His image. He imbued us with His characteristics, with his personality, with His love and with his creativity. For many of us, the creativity overflows in the form of song. We have been given the gift of writing poetry, lyrics and melodies that give the church words to use and songs to sing. 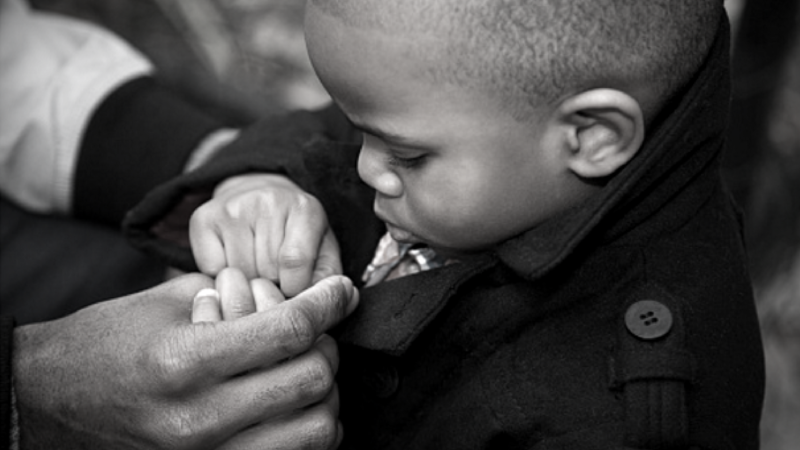 We have been blessed with the gift of helping others glorify God. Often, however, we inadvertently end up burying our talents, hiding our songs away. You see, the truth is that not all songwriters are the best musicians. Not all songwriters can sing as well as the big names. We put our songs on public forums for feedback and no one comments because our iPhone recording of our song is just not the same standard as some of the demos by more technically skilled songwriters. We find that the band simply can’t learn our songs because we can’t send them a decent recording before Sunday morning. 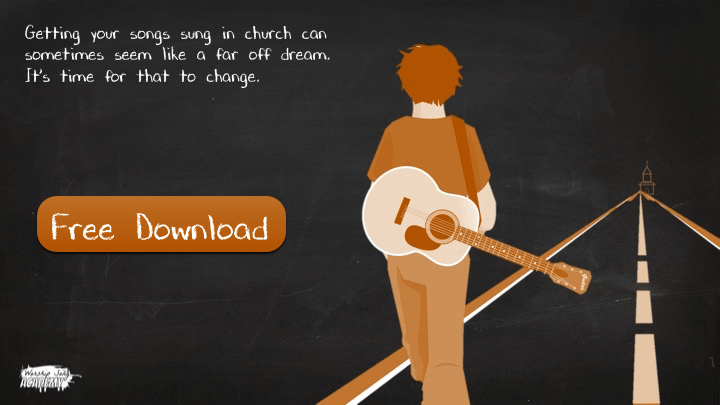 We end up doubting ourselves and eventually give up on ever having our songs sung in church. Deep down you know, however, that your instrumental proficiency is not a measure of your song writing capability. You know you don’t have to be a professional musician to be able to be a great songwriter. And you know that the songs you have written could truly bless other people and help them in their walk with God. The same can be said about my bass playing and I can’t even begin to describe how pointless my drumming is. Ultimately, when trying to record demos of my songs to share with other people I would have to rely on drum loops and synthesised bass lines. My recordings were not of a great standard and consequently I felt like often I simply could not share them with anyone but my closest friends and family. Recently, however, a friend, Matt, got in touch and told me that he was starting a new business. Matt told me that his new venture was a resource for songwriters who may not have the musical capability, the singing voice or the know-how to record high quality versions of their songs to share with friends, band members or for general release. He would offer to record the songs for them. And so, WorshipSongRecording.com was born. Matt offered to record one of my songs so that he could use it on the website as a demo of what he does so I took a risk and sent him my song “All Around Me Now”. I was completely blown away by the result. It took him about 6 weeks to get the song back to me, but this was because he was busy winding down his last, job, building the website, setting up the business, but I am reliably informed that normally it would take less than two weeks to get a pro level recording back. He took a rough recording of a song I had written and recorded a completely professional version that could easily be shared with people, sent to the band to learn or simply given to people for feedback. So, if you’re in a position where you have written some great congregational worship songs and you know they’re finished but you don’t have time, capability or the equipment to record a professional sounding version of your song, then definitely head over to WorshipSongRecording.com and check out what Matt and his team can offer. If you’re not quite at the point where you feel like your songs are finished, or you want a proven method that will help you take your song from original idea to being used in church then please grab a copy of my Worship Song Roadmap. It’s time to share it with the world. P.S: If you enjoyed the song or want to see the chord sheet I sent through, then please click here to download it. If you’d like to download the song itself, then please click here. Our household is rarely quiet. There is hustle and there is bustle. There is arguing and laughter and cutlery clanking. Musical notes and slightly sore throats from simply trying to be heard. But now, in the silence, I find myself thinking, as they are all dreaming in bed. Those times that mean the most to me are the moments between the minutes, the stillness in the busy when I can just hold one of my little girls close. In that instant everything fades away and all that is left is love. As I spin her around the cold kitchen floor, the clamour of noise seems to cease. It’s like the house fades away until all that’s left is my daughter and me under a blanket of stars. This what our heavenly Father longs for the most. His heart yearns for those moments when everything fades and it’s just you and him spinning together in that eternal embrace, hearing His words as He whispers “I love you”. This, the worship that no one sees, is what should inform all our public worship. 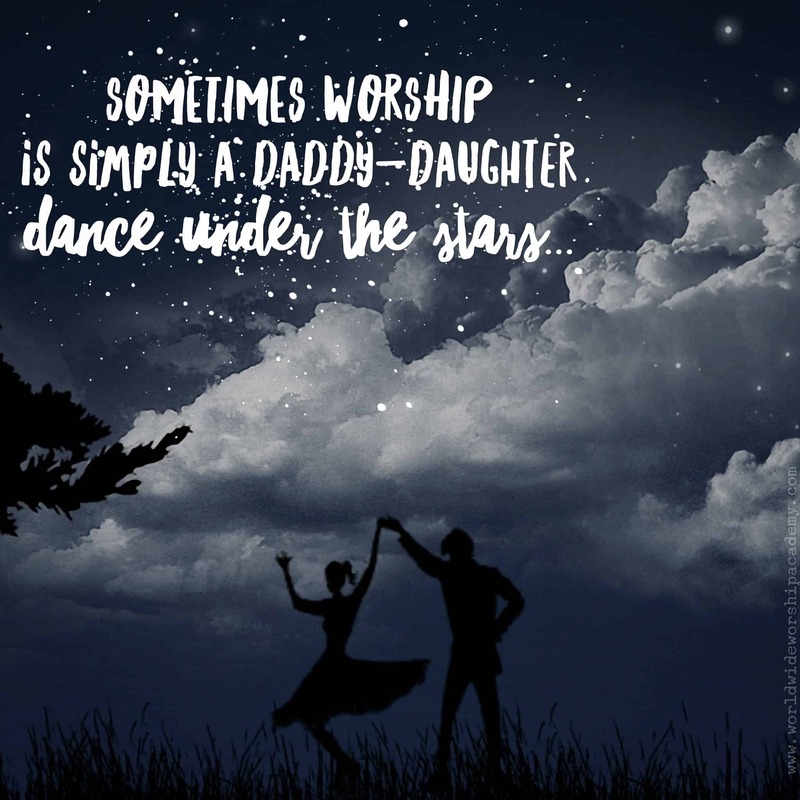 So take a moment today to let everything else fade away and, if even for just a minute, spend some time dancing with Him. Sunday morning comes around and you have practiced your #SundaySetlist at home all week. You know you can play the songs in the keys you’ve chosen and you have printed the music off in the right keys. Finally you’re ready to start rehearsing. As you run through the third song you realise that what sounded great at home is simply too high for the congregation to sing so you need to take it down a couple of keys. And worst of all, you know that next week will be the same thing. The same songs, printed out again in a slightly different key. You arrive and hand out the chord sheets to the band. You tell them the key and the guitarist puts his capo on, immediately ready to play. Immediately the band are ready to go and everything sounds great. At the end of the service you put aside the two songs that you know you’re going to use again next week. You won’t need to print them off again because they’re already ready, even though you’re most likely going to do them in a different key as another worship leader is leading that song next time. This is a system that originated in Nashville (hence the name!) 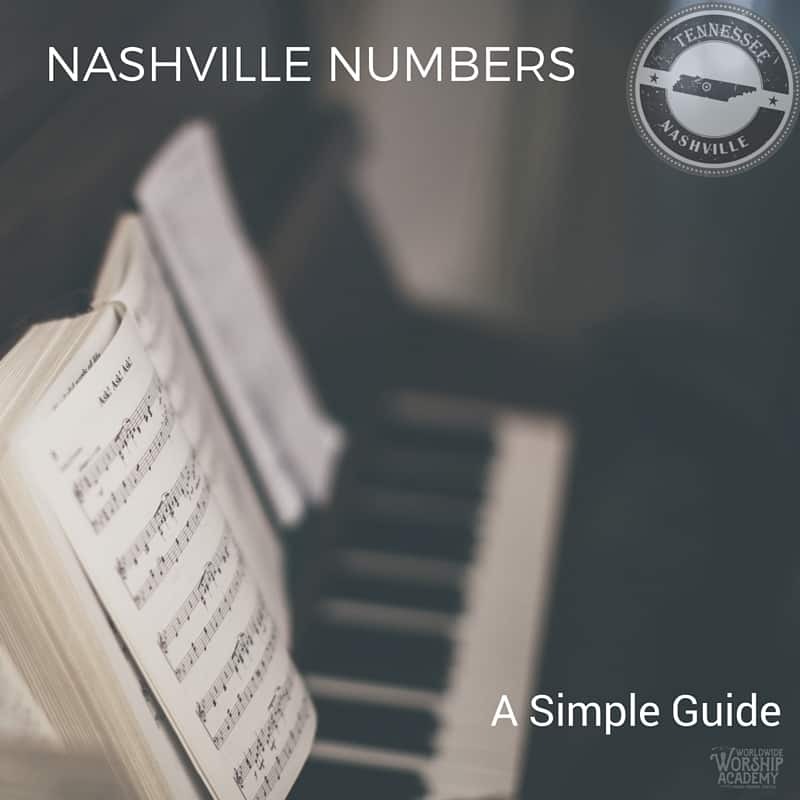 where chords are replaced with numbers. This is easier than it sounds and once you get your head around it I guarantee you it will completely revolutionise your worship sets, your communication with the band will become easier and your playing will massively improve. Each number relates to the relative harmonic in the scale of the key you are playing in. One of the great things about worship music is that we rarely hit the diminished chord 7, so we don’t need to worry too much about this but I have included it for the sake of completion. Allows you to transpose and change key on the fly. Allows you to communicate chord sequences quickly and easily in any key. Allows you to save money on printing costs. My challenge to you would be to try it next time you lead worship. Start with a song that you know well so that you can begin to learn them in an easier situation and then slowly move on to using them in more and more songs. You’ll be amazed at how freeing it is. Let me how you get on in the comments section below. One of the things that has most helped me develop as a worship songwriter has been learning to co-write. Gone are the days when every song on a worship album was written by a single person. A Matt Redman album is no longer written solely by Matt Redman. Almost every single Bethel Music song is a co-write with at least 2, if not more, people involved. Co-writing brings out the best in us. To use a biblical term, It is iron sharpening iron. 1. Become friends before you become co-writers. Of course it is possible to be successful co-writers without being friends, but it is much harder. Writing together requires a deep level of trust. 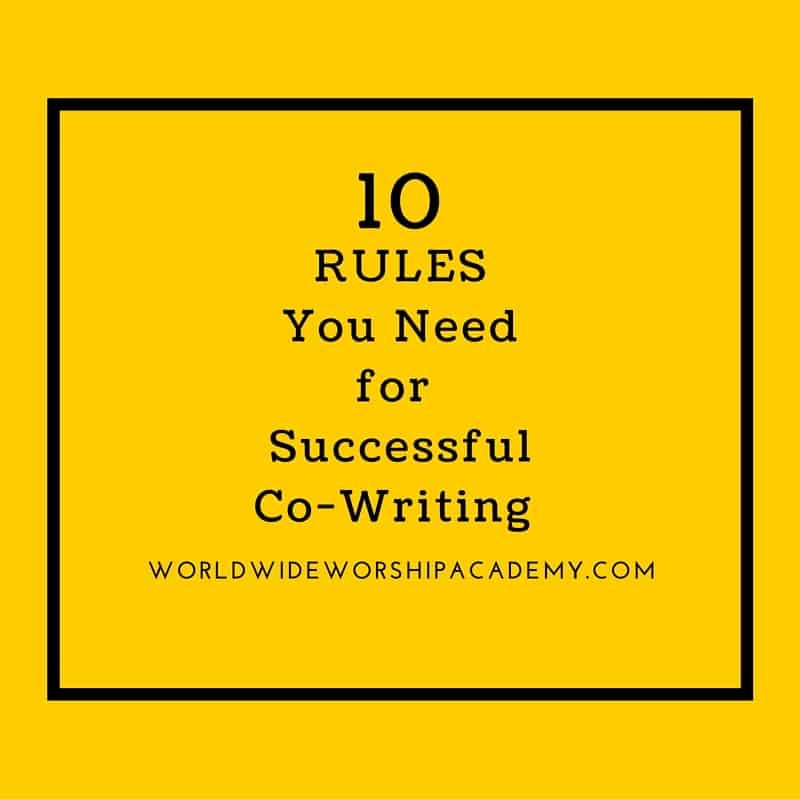 So, if you are planning on co-writing with someone, make sure it is someone that you would spend time with doing things other than songwriting! There is something special about laughing. I imagine that Jesus and His disciples spent a lot of time laughing at each other’s jokes as they travelled around Israel together. Laughter has a way of creating a strong bond of friendship as well as the ability to defuse potentially tense situations. Learn to laugh with each other and learn to laugh at yourself. When co-writing with someone, know and believe that any criticism or feedback is not a personal attack. You are working with someone to help make the song the best it can be. Everything you do should be to serve the song and make it better. 4. Hold your song lightly. Sometimes it is easy to become attached to specific lines or melodies in a song, particularly if it is something you have been working on for a long time. Hold your song lightly, with an open hand, so that when you co-write, new ideas can be placed in your hand that could improve and create a song that is more than simply the sum of its individual parts. 5. It is rare for God to give you fully formed songs. This is normally followed by the least crafted, badly written song on the forum. God inspires songs. He gives us ideas and melodies and lyrics to use. But our worship songs are our expression of love to Him. He rarely dictates our songs. Believing a song comes directly from God removes the ability for others to offer helpful critique and also makes it harder for the songwriter to accept any feedback. No one likes to criticise God! 6. Do not be afraid to disagree. Disagreement when song writing is always going to happen. This is something to embrace and work through. 7. Agree who has the final say. Agree beforehand who will have the final say. I have normally found that in any given songwriting situation, one person brings the main idea of the song. In my songwriting partnerships, if I bring the main idea of the song, then I am the one who can veto ideas. Equally if any of my songwriting partners are the ones who came up with the original idea, then they are the ones who get to veto any suggestions. This approach works for us. There are times when you will get together to write songs and there is simply nothing happening. No ideas, no lyrics, no melodies. Take these times to cultivate your friendship. Have a coffee, have a laugh. Talk about life and get to know each other better. Your friendship will translate into better songs. 9. Don’t throw anything away. What I mean by this, is that if you have a line and you decide it doesn’t fit in the song you are writing, don’t discard it forever. Put it in a file, or a notebook, or, if you use evernote, in a digital notebook as an idea you could come back to later. Nothing is wasted in songwriting. Have fun. Always have fun. The moment you stop enjoying yourself is the moment you need to take a break. Our God is a god of joy and life and love and laughter. He is a god of freedom and friendship. Your time writing songs for Him should be a time that you look forward to. It may be hard work at times, but it should always be enjoyable. 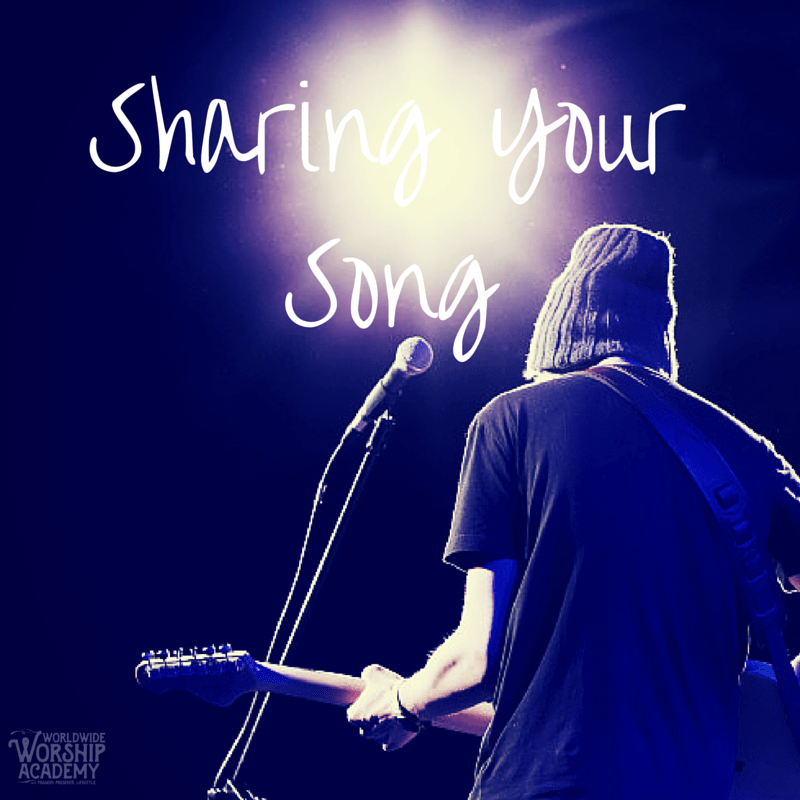 I would love to hear your stories about co-writing worship songs with others. What have been your struggles and what has brought your greatest success? P.S: If you have enjoyed this article, please do share this on Facebook or Twitter. Easy to get complacent and become distracted. So easy to take the truth of Easter for granted. We can get so caught up in arguments over whether we should be buying chocolate eggs, whether the name “Easter” should be used at all or what would make the best #SundaySetlist for Easter day that we sometimes forget the amazing truth revealed in the Easter story. The first Easter was not the result of a slapdash plan to get us back on track. Easter was not, as one author put it, an incident of cosmic child abuse. 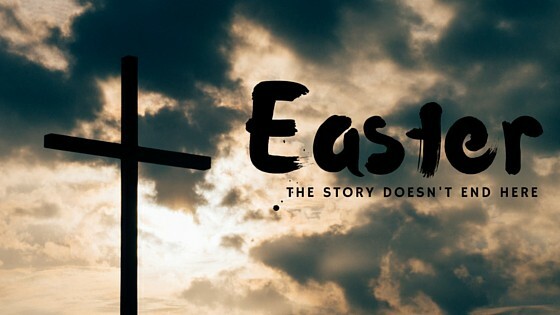 The first Easter was the culmination of a plan that was set in motion thousands of years before Jesus’ death by a God who loves us so much that He would do anything to win us back. In the book of Genesis we see the account of the relationship God had with humanity. He walked with us and spoke to us and loved spending time with us. He tended the soil with us and made plants grow that we could harvest and eat. He kept us safe from disease, from illness and from sickness. But we, in our infinite wisdom, chose to take our own path, away from Him. We chose to do things in our own strength. 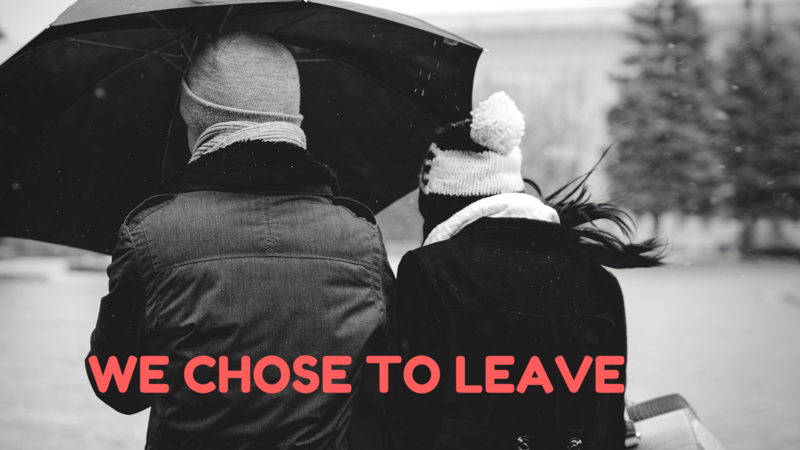 Choosing independence over relationship, we told God we wanted out. And so, ever loving, He didn’t stop us. He allowed us to follow the path we had chosen for ourselves. On this path He did not tend the soil. He did not provide pain relief. He did not stop sickness and disease. These things were now down to us because we chose independence. We no longer wanted Him to do this as we believed we could be as good as God. He never stopped loving us. Not for a single moment. In the story of Adam and Eve, as they are leaving the garden, God gives them clothing made of animal skin. While many recognise this as a prophetic act, symbolic of the fact that blood would have to be shed to cover over our shame, I see this as more than that. From that moment on, God did everything He could to show us that we were not on the right path. He was desperate to show us that, unless we were willing to accept that this path we had chosen would not take us back to Him, we would be lost forever. You see, He knew where our chosen path would lead us. In the books of the Law there are rules and rules and rules. From the ten commandments to the laws on what can and cannot be eaten to the laws on how to live, how to sacrifice and how to celebrate holy festivals. No human could possibly reach or maintain that standard and yet that is exactly what we were trying to do. 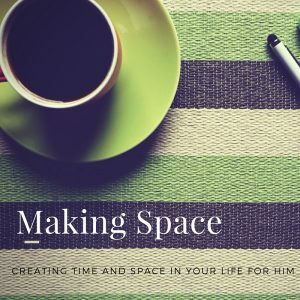 It wasn’t that He was making it harder than necessary, He simply needed us to know that returning to the path where we could walk in relationship with Him was not something that could be achieved through the things we do. There is no Divine Karma. There is no salvation through works. All God wants is for us to know His love, accept it and love Him back. To love Him because He first loved us. But to do this we would have to relinquish our independence. And so He came to Earth as His son Jesus. Jesus who did no wrong. Jesus who, unlike us, did not choose a path separate to the Father. Jesus who deserved no punishment. Jesus who on Good Friday was held aloft for all to see. The hands that had once flung stars into space, now bloodied, wounded and nailed to the rough wooden beams of a Roman cross. Jesus, the King of the Universe, adorned, not with a crown of gold, but a crown of thorns, cutting through flesh that did not deserve to bleed. On that day, Jesus died. And in doing so, He showed us where our path was leading so that we might turn back. He took our punishment so that we would not have to. As He died, the temple curtain that separated humanity from the Presence of God was torn in two. In His death, Jesus had made a way. He carved a path back to The Father. And it had cost Him everything. Three days later, on that first Easter morning, Jesus defeated the powers of death and darkness and He was raised from the dead, never to die again. In doing so He showed us both options. In His death He showed us where our path was leading, so that we might turn away. There is only one path that leads to life, and we were not on it. In His resurrection He showed us the way back to life. And now he stands on that path and calls us, beckoning us to come follow Him. He asks us to trust Him, to put our faith in Him and to follow because His path leads to life. So, this Easter, take a moment to remember the sacrifice of love that made a way for you to return to the loving arms of the Father. Remember that from the dawn of time, God put a plan in place to win you back. A plan to save you from the path you were on. Dear God. I realise that I have been walking my own path, believing that I did not need you, that I could live independently from you. I know now that this has led me to do things and say things that have been selfish, unkind and hurtful, even when I didn’t mean to be that way. Thank you that you love me enough that you were willing to sacrifice yourself to make a way for me to come back. I know I did nothing to deserve that and I am so grateful for that. From this moment on, I want to follow you and walk the path that you have made. If you have prayed that prayer, whether it be for the first time or for the 1000th time, please let me know by emailing [email protected] so that I can support you on your journey and help you get in touch with a church local to you that can support you and help you learn more about our amazing God that loves us so much more than we can possibly imagine. P.S: If you have enjoyed this article, please share it on Facebook or Twitter.